Instrumental Music students play harps during a musical performance. 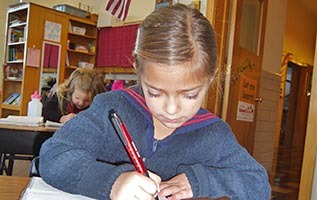 Music, literature, drama, foreign languages, and the arts are part of Reid School’s daily life. We believe that a student’s creative ability is nurtured and developed as specialists work with them daily in classes and with special events. Spanish, Chinese, instrumental music, classical guitar, dance, drama, and art teachers enhance the classroom instruction. Students provide musical programs for parents two and three times a year. 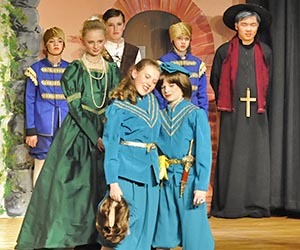 A Shakespeare play is produced annually, and all students participate in the play and/or the Green Show. 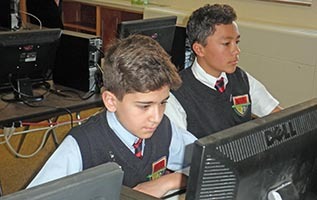 Preparatory Level students (7th through 9th grade) and their families travel to Washington D.C., Boston/New York, and to sites throughout the world such as China, Rome, Athens and other cities that are representative of the students’ courses of study. Specialists teach art as well as the classroom teachers. A scene from “Twelfth Night” – the twins are reuinted. 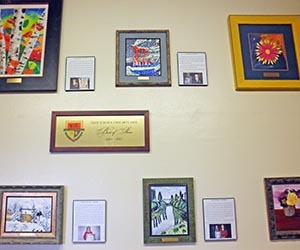 “Best of Show” artwork remains on display. A Fine Arts Fair is held annually, and the “Best of Show” is framed and hung in the school’s halls. A Fine Arts Anthology is also published annually in connection with the Fair. Every student has at least two poems publised in the Anthology. Students’ artwork and musical compositions are included as well. Our students’ poems are most frequently recognized in Utah’s State Poetry Society contests as well as in regional and national contests. 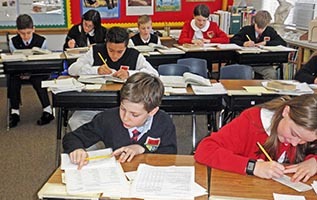 Students from Advanced 1 through Preparatory Levels participate in an annual Poetry Recitation competition, and all grade level students vie for certificates and cash prizes for outstanding poetry and short stories in the Linnie Fisher Robinson Foundation for the Literacy Arts grant received at Reid School. The Chess Club meets Mondays and Wednesdays before school. Middle School students register in studio or on-location video broadcasting classes that meet for an hour three days a week. 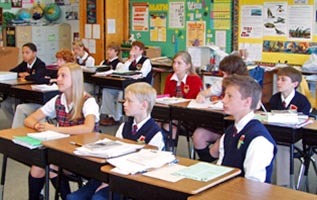 In addition to an outstanding school library, over a hundred literature kits (with 50-60 books in each kit), divided into genre, thematic, and author and illustrator studies are taken into the classrooms to enhance/augment the textbooks in the teaching of reading, social studies, science, music, art, and health. Students attend local plays at City Rep and Pioneer Memorial Theatre, visit backstage at Hale Theatre and fifth graders are involved in the Utah Symphony Youth Program. 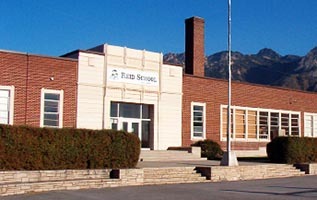 The Utah Ballet brings a program to Reid School annually. © April 21, 2019; 12:49am MDT – All Rights Reserved.